A Dietitians Kitchen. November 2014. 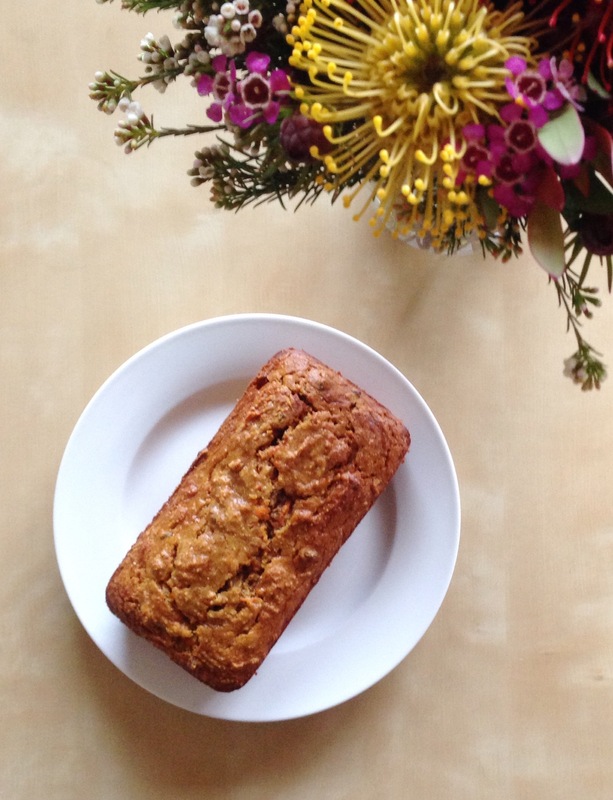 It’s been a busy month but there are new things happening in this dietitian’s kitchen. Marketed as a natural sweetener and an alternative to honey, Rice Malt Syrup is made from brown rice. It is produced commercially by cooking brown rice with enzymes, reducing it and evaporating off the water. I bought this because I required honey for a Carrot, honey & olive oil cake and this was a much cheaper option at the time. As it is marketed as a honey alternative, I expected it to be as sweet. It’s a milder flavour, quite thick also, and it makes me wonder what the cake would taste like with honey. I know when it comes to my morning porridge, I much prefer the taste of honey. Nutritionally, energy density is marginally different with Rice Malt Syrup providing 1370kJ/100g and honey 1416 kJ. The main difference is the sugar content. Whilst honey provides approximately 83g sugar per 100g, Rice Malt syrup comes out on top with 55g per 100g. But at the end of the day, it is still syrup and provides a concentrated energy source. So it still needs to be accounted for when undergoing weight-reduction or controlling your blood sugars, and it’s not so nice on your teeth either. I feel like the avocado is one of those foods that when sold at a sensational price in the supermarket everyone is so much happier. Agree? 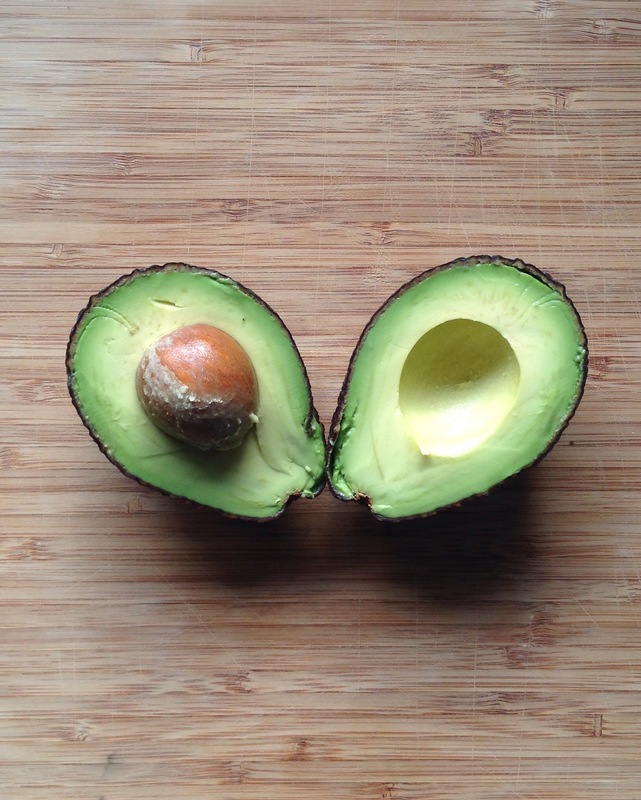 High in monounsaturated fats and rich in fibre, avocados are a nutrient dense food that is great for keeping us full and maintain a healthy appetitie. They also contain folate, vitamins C, E & K.
But as they are energy dense, if you’re trying to reduce your weight, watch your portion and maybe don’t put an entire avo in your smoothie. I like my avocado with vegemite, on anything remotely resembling Mexican food or my new love, in a smoothie. I have been meaning to make an avocado mousse dessert thingo too. Have you? As the health world continues to be going coco-nutty for coconuts, Vitasoy have expanded their non-dairy milk range to include a coconut milk. Made from pretty much just water and a minimum of 8% coconut cream, Coconut milk is their latest product to hit the shelf and I like it. Before your bones creak in despair and you think I’ve gone nuts, this product has been fortified with calcium and provides the equivalent to a glass of cow’s milk. Hallelujah. 250ml of this product will provide you with a small 55 calories (225kJ), virtually no protein and sugar, and 5g saturated fat. It makes a great alternative to your standard coconut milk or cream. I don’t think it’s as coconutty as standard coconut milk but it’s a nice flavour. 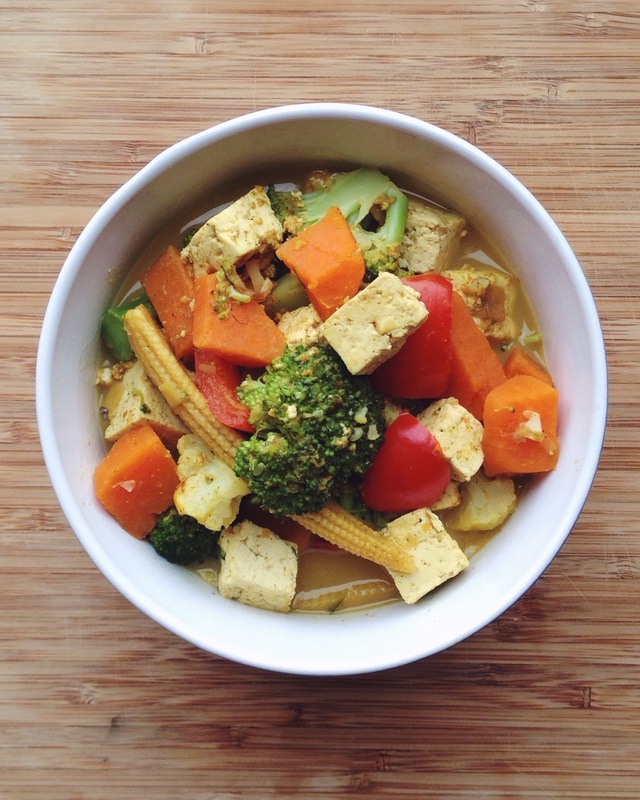 I’ve been enjoying it on muesli, in banana smoothies for that extra tropical feel & in a tofu & vegetable curry. A few Sundays ago I had a craving for a cheese & vegemite toasted sandwich. And I’m talking with white bread and the plastic cheese in my brother’s fridge. Not that I need to justify my choices, but it was the Sunday after Derby day. Anyway, turns out my brother’s house is the only house in Australia without vegemite & a trip to the supermarket was in order. I was a little apprehensive about Reduced Salt Vegemite. Yeah I’m not a salt eater, but like, its vegemite. But the dietitian within me knew I had to give it a try. This new product as 25% less sodium than it’s 3450mg sodium per 100g counterpart, which makes it a better option for those of us with blood pressure higher than we would like. It also has the extra addition of Vitamin B6 and B12. Now that’s mighty. Sorry. Because a small spread of either vegemite in the context of a healthy balanced diet full of whole foods, you really are just wondering about the taste? Before I mixed it with the processed cheese and bread, I did taste it. Pleasantly surprised. I also compared both side by side. Original has a much stronger smell when you open the jar and it clearly does taste saltier BUT if you didn’t do this, you probably wouldn’t notice a difference worth crying over. I’d say that, as long as everyone gives it a chance, this newly revamped Aussie favourite will be a hit. 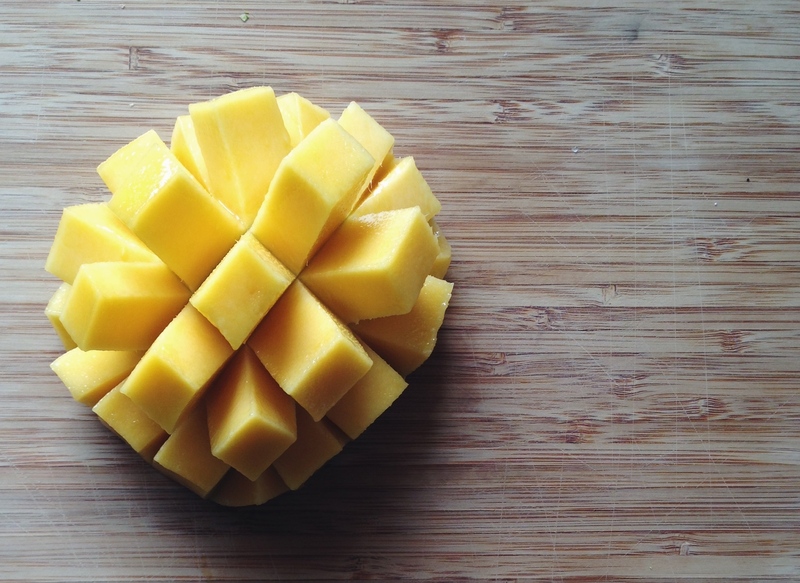 With 3 mangoes for $4 in supermarkets right now, it’s a sure sign summer is on its way. 15 sleeps to be exact. I’m excited now, but when the hot weather of the south hits, I’ll be wishing I’m back in Europe for winter. 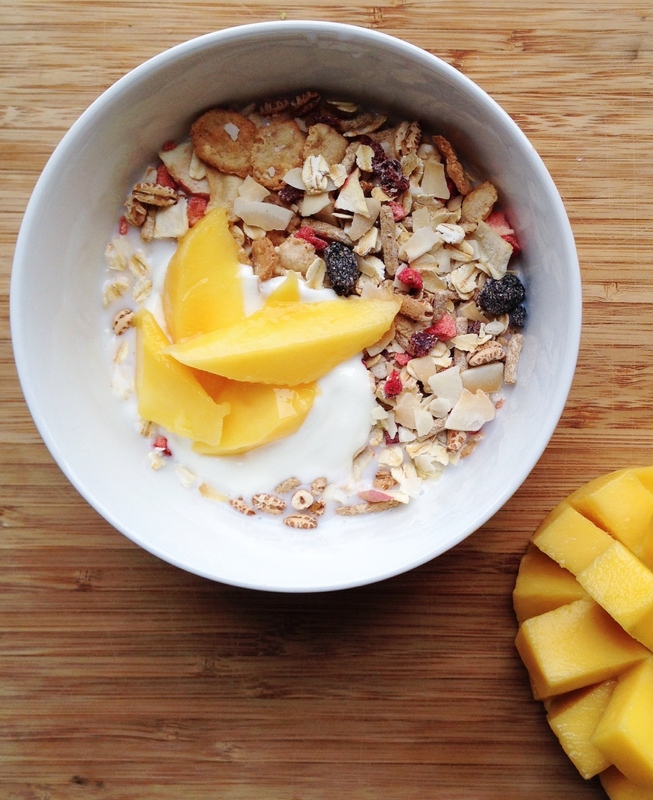 I had mango on my muesli this morning, but dear friend & fellow dietitian Jenna has heaps of ideas on her warm weather menu. Just a quick note for those of you (and your partners) who have a misbehaving gastrointestinal system. These stock cubes contain no garlic or onion. P.s. I did end up finding my brother’s vegemite. It was in the wrong cupboard. My mother had been to visit. < An edible gift guide for food lovers. Lovely to see what you are munching on recently Em. I’m still yet to give the salt reduced vegemite a try – it takes me so long to get through a tiny jar! But as soon as I need to stock up again I’ll give the salt reduced a go. Also very excited it is coming into mango season! Thanks for the mention also. Great post as per usual Emma! That bench top and beautiful bunch of flowers look familiar… did you use rice malt syrup in that scrumptious cake you cooked me? If so, it was fab! The cake was moist and tasty and not too sweet, hence why I included it in my diet daily for a week! I haven’t tried rice make syrup yet, good to know it’s not as sweet. I wonder if that means you end up using more?! I laughed at the Vegemite adventures. So glad you can still buy it in the UK!